"Hey, Honda....what took you so long?" If my opening question is toned with tenderness, a bit of emotion is for good reason. 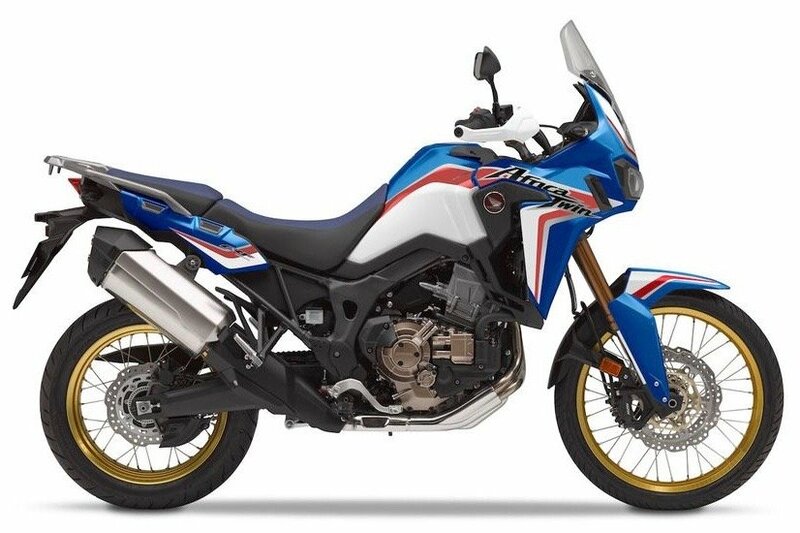 Such a long wait for the motorcycle giant to re-enter the booming Adventure Riding & Dual Sport category sure was a test for Honda enthusiasts. Seriously, is There Anything More Uplifting Than a Bunch of New Motorcycles to RIDE? 'Tis the season for new motorcycles for the rental fleets in Chile and Peru! Part of keeping such touring and renting options running smoothly is thereplacement of bikes. While they all get regular inspection and maintenance between Customers, there comes a time and financial juncture when it just makes sense to replace each bike with a new one. Of course we need to break-in these bikes a bit and get them through their initial 1,000km's before they go through a first revision and inspection; and well ... somebody needs to put those first 1,000km's on them. Riding virgin bikes is still one of those simple pleasures that will never get old. I mean, they even smell new! Great news, adventure riders: Honda's new Africa Twin CRF1000L is coming to Chile! With a scheduled arrival of September, Honda's reintroduction of this adventure riding classic will be available along with our other Patagonia motorcycle rental options just in time for you to head down the Carretera Austral this coming 2016/17 season. 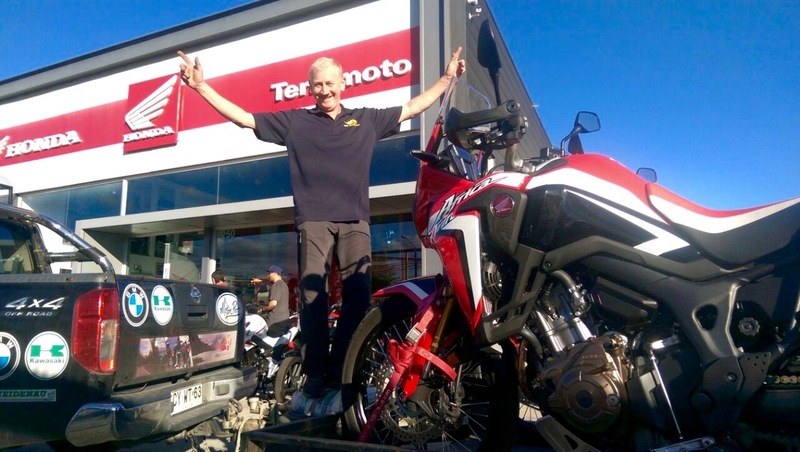 Considering just how "absent" Honda Motorcycles has been from the fast-growing world of adventure riding, early feedback from other riders suggests the new Africa Twin is well worth the wait. With the BMW GS bikes still making up the definite majority of the rentals we offer, Honda sure will have their work cut out for them trying to gain market share. Nonetheless, we're excited to further diversify the options that we offer in Chile, Argentina and of course other locations soon. 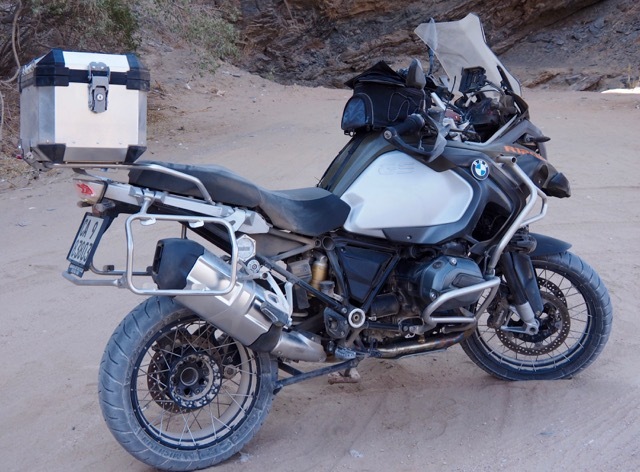 Instead of posting an immediate reaction to BMW’s R1200GS Adventure when the updated Liquid-Cooled version of it became available a couple of years ago, I wanted to wait and see how this latest version of the famous “GSA” performed in the rental business for a while. After all, it’s probably not just my personal opinion of how the bike rides & feels that you’re probably interested in. Those of us in the international motorcycle rental business are in a unique position to comment on the overall performance of these bikes and their durability, dependability, etc. over some time. 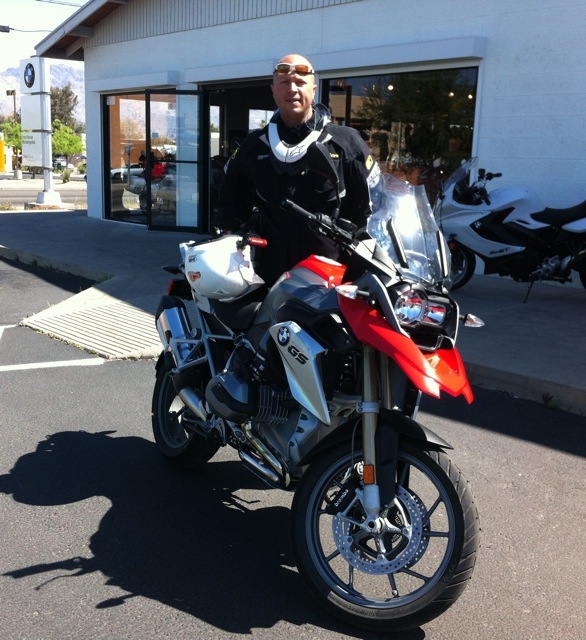 So here we are, about 2 years after the updated, Liquid Cooled “Water Boxer” version of the GSA became available…. My question is simple: "Why isn't Honda Motorcycles putting their race-winning, widely respected, all-around excellent XR650R back into production?" First, kudos to Honda for bringing back the Africa Twin, the bike that we're all excited to start riding more and integrating into our list of motorcycle rental options after some testing. But really, why wouldn't they start production on the XR650R again, too? So I ask: "Honda Motorcycles.....where have you been, and isn't it about time to start building this possible KTM-Killer again?" 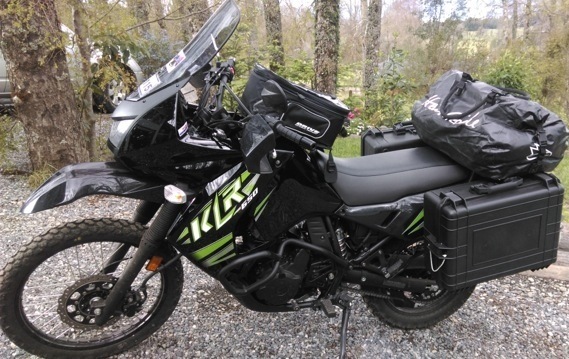 Over the past few years, I'd had a few chances to hop various Kawasaki KLR 650's for an hour or so, although usually only on pavement. 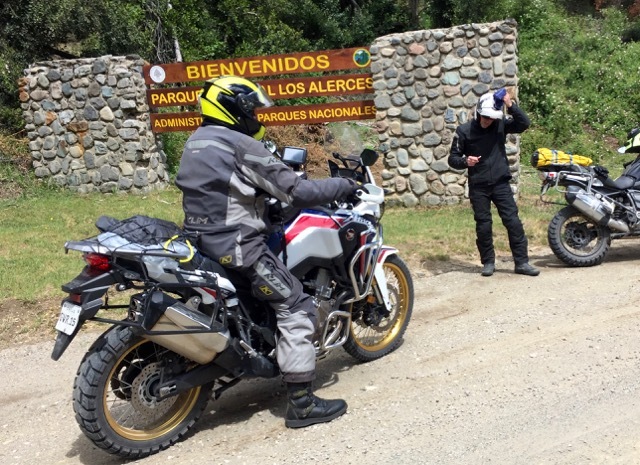 Only on recent riding research projects for our new "Best of Northern Patagonia" tour did I finally have the chance to ride the KLR to such an extent that I feel prepared to share my opinion about this motorcycle. 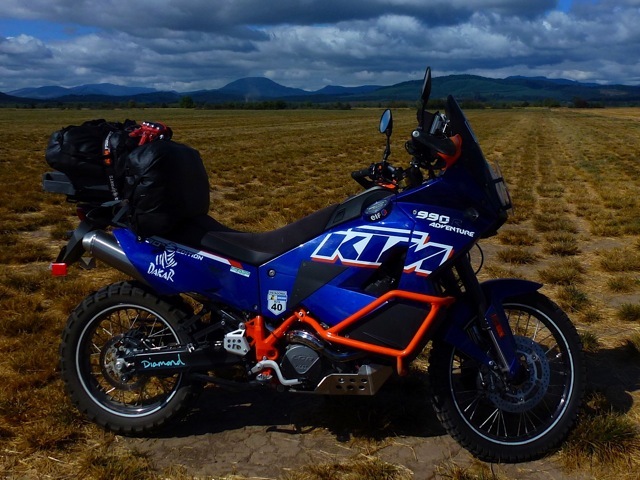 Dave Diamond went from being a motorcycle touring customer in Patagonia a couple of years ago (where he rented the BMW F800GS) to the guy that came home and almost immediately bought the KTM 990 Adventure Dakar Edition. You can see a previous blog post here about how Dave's bike now turns 15% more horsepower than it did originally, and below are his thoughts about the bike and necessary add-ons overall. Really though, is this commentary about a bike, or the motorcycle industry as a whole? I own a 2011 KTM 990 Adventure Dakar Edition & I love it. However, I've wondered why the Austrians never made some simple design improvements that were "discovered" by the aftermarket parts community years ago. 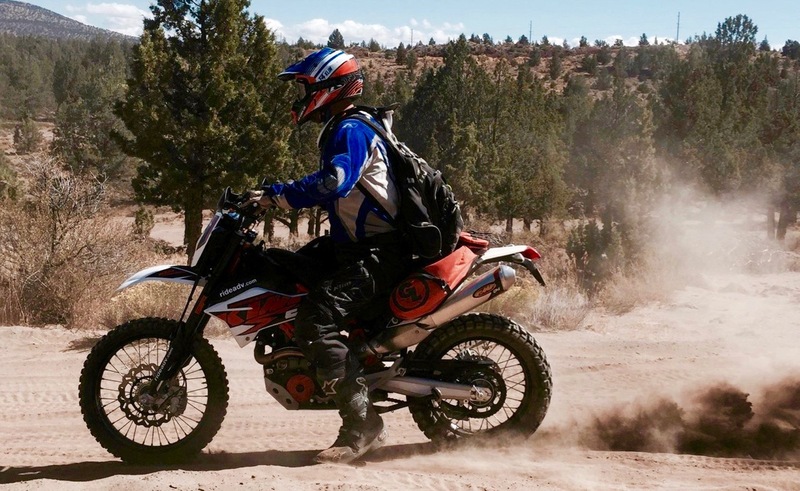 I'm a normal adventure rider not a paid professional tester, so how is it that it only took a 3000 mile ride up from Los Angeles to the 9th annual KTM Rider Rally in Bend, Oregon to discover some of these flaws for myself ? 12vlt. power supply in the "glovebox"
These modifications will both improve your riding experience & make your bike better. **The only downside is all this will cost you a bloody mint !! I'm fairly certain that if one of the major Teutonic car makers like Porsche or Mercedes found out about a design flaw they would certainly fix it in the next model year or recall the vehicle. So what gives? KTM 990 Mirror Bracket: I believe there are several factors at work here. It could be that the factory thinks why "give" stuff away with the bike when they can make extra money selling accessories a la carte? Or maybe they believe the bike to be fully tested & at a price point which is good enough for the average rider? Is it that they see the importance in nurturing the aftermarket community because independent suppliers help spread brand awareness. Perhaps they were too concerned with the future 1190 model to address any of the problems on the old 950/990? Or maybe they feel that the Adventure is a bit of a cultish type bike anyway & that KTM customers just really like to customize? KTM Kickstand Relocator: In my opinion, it's probably a little bit of all of the above. I wanted to talk about it with corporate at the Rider Rally, but to my chagrin there was no representation from Austria. Considering their racing pedigree I'm surprised they don't fit some of these parts standard. My 990 model cost almost as much as the BMW, but bone stock it's relatively pedantic by comparison. Don't get me wrong folks. I'm not writing this article to be a "hater". I'm a big KTM fan & identify myself as a true orange-man through & through. I just feel like there are a lot of potential customers who would prefer to pay a little more for their new bike to be totally decked out when it leaves the showroom. Let's face it, with several choices of good Adventure motorcycles now available I think it would be wise for KTM to really go for it & make a true uber bike as a way to separate themselves from the other brands. If you enjoy surprises as much as I do, then a “thanks” goes out to BMW Motorrad for what they’ve done with the new liquid cooled 2013 R1200GS. 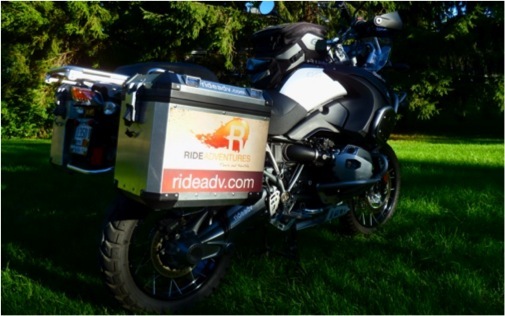 BMW Motorcycle Rentals: Why are so many rental fleets BMW? BMW F800GS & Motorcycle Aerodynamics: Does your front wheel shake? 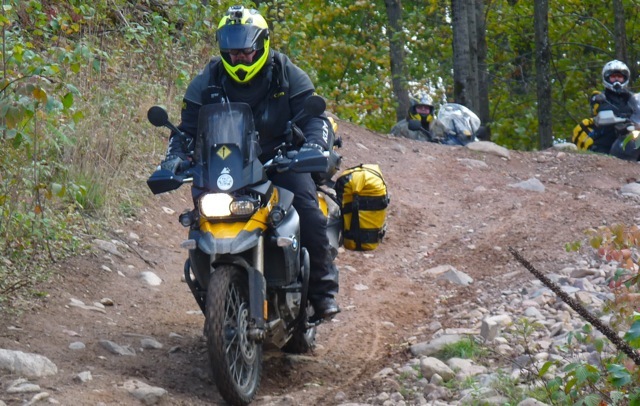 "What is that shaking feeling coming from the BMW F800GS?"